Due to misalignment or too much or too little space between teeth, the teeth may show imperfections. However, teeth may not fit well together, or the jaw relations are not good, which can disrupt the chewing of food. 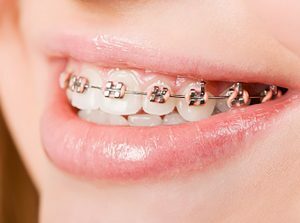 Orthodontics can offer a solution for this. Our orthodontist can draw up a treatment plan with you that will ensure that the teeth and molars are lined up nicely and fit well together. This way you will be better able to chew and keep your teeth clean. Also, your jaw joints are no longer overloaded, so any future problems with your teeth and jaw joints can be prevented.